Joined together in an 'economic development marriage', Walt Disney World and Orlando, Florida, have become the world's most popular tourist destination. 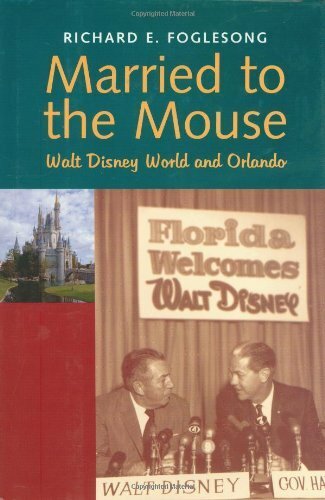 This intriguing book traces the evolution of the relationship between the Disney Co. and the surrounding community since it began in the 1960s. Like most close relationships, the Disney-Orlando union has involved conflict and compromise. Richard Foglesong shows that this evolving relationship validates the adage: whom you marry affects what you may become. Foglesong explains how Orlando leaders seduced the Disney Co. with big road projects, how the Disney Co. shielded its property from government regulation, and how the company has used the governmental powers it acquired. In short, Disney World has become a "Vatican with Mouse ears", the author declares. In a balanced and thorough analysis of the Disney-Orlando story, Foglesong offers a critical account of how Disney has used - and also abused - its governmental immunities from the beginning of Disney World to the present under chairman Michael Eisner. Orlando's experience with its biggest local employer raises broad questions about urban development policy. Can local leaders resist the demands of global corporations? Do privatisation and deregulation offer a viable strategy for economic development? And is it possible to escape the weight of previous economic development decisions that seem to lock in, for example, more tourism and low wages, while locking out other opportunities?